STRUMIS Scan, RF (Radio Frequency) and Batch Bar code data-collection solutions enable faster and more accurate data capturing with lower costs and easier management of site materials and piece tracking. 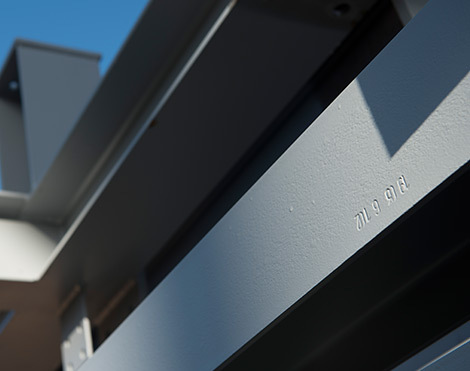 "With STRUMIS, we have a system that enables us to manage projects from start to finish. Now with the extended bar coding functionality and the automation that this delivers we are able to benefit from the system more and more throughout our projects." The STRUMIS Mobile Scan App quickly and accurately collects, in situ, critical assemblies' production data, piece tracking and contract hours. Usable on or off line; synchronising with STRUMIS, it provides the ability to update all users in real time. Time saving and ideal for use on site. Scans barcode data and immediately updates STRUMIS in real-time through a continuous link / Wi-Fi connection. So simple, just scan and move to the next. 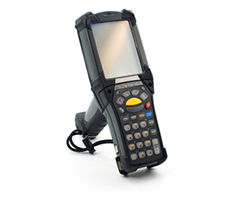 Can be used as part of the inspection stage to determine pass / fail or pieces. STRUMIS instantly updates all users in real time - be they back at base, or on site. Without the need of a network connection or workstation, Batch barcoding quickly and accurately batch collect, in situ, critical production data, piece tracking and contract hours. Time saving and ideal for use on site, the information is then simply uploaded instantly into STRUMIS, when convenient, to push all the materials through system. 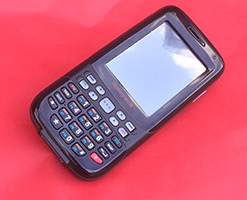 Ideal for onsite data collection, where the file can simply be emailed back to base to be processed. Updates STRUMIS - from Anywhere. Choose either STRUMIS Scan and synch, RF Barcode scan live link or Batch Barcode scan and upload; to update STRUMIS with real-time project shipping and production status from a mobile scanner, without the need for a permanent workstation. Barcoding provides the simplest, most user friendly way to track and trace pieces; reducing the paperwork and minimising the time required. Multiple mobile stations are possible using either STRUMIS Scan, RF Barcoding or Batch Barcoding to suit your needs. Removes the need to manually enter data, thus eliminates input errors. Just swipe to collect data and use the STRUMIS Barcode Data Collection Wizard to easily import all of the barcode data into STRUMIS. Records production progress of assemblies, by process, in real time. Tracking Status - which pieces are at each process. Print barcode labels for materials to be loaded. 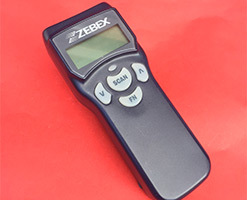 Quickly scan barcodes to add an assembly to a load. Quickly and simply progress the workflow by employee and part. Update and move component parts through the production progress. 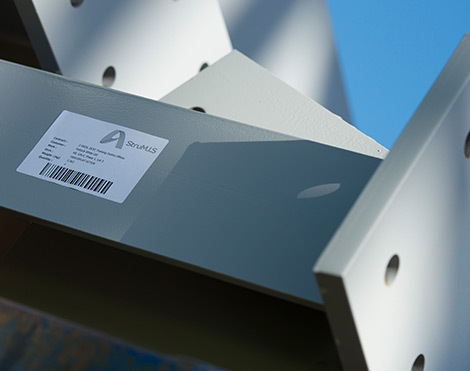 RF Barcoding can be used to record the inspection result of each piece. 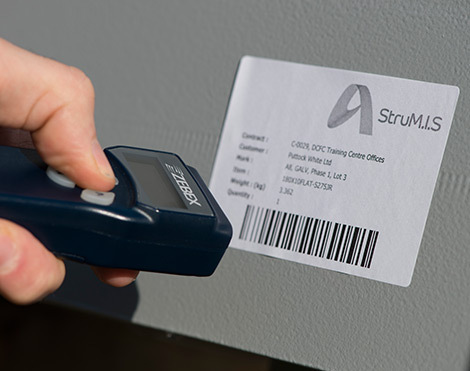 STRUMIS offers the additional customisable option of GPS location tracking via barcoding, to enable complete onsite traceability for clients with multiple location warehousing or large site storage issues. Answering a specific requirement of our client Genrec, STRUMIS is now able to use the bar code tracking functionality through a bespoke designed interface to track all Genrec site movement of materials and fabricated items. 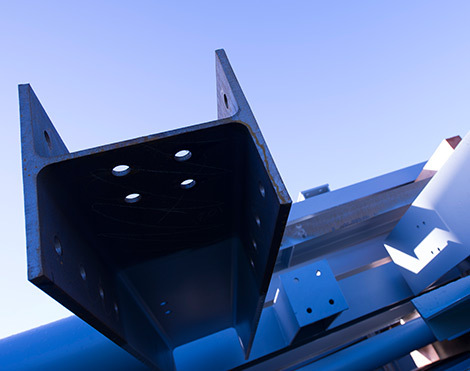 Their STRUMIS Inventory module will show the exact location (to within 1 metre) including GPS latitude and longitude co-ordinates, of Genrec's materials, for easy onsite traceability throughout the entire construction process. A major benefit for Genrec, as the detailed engineering contractor, constructing Kusile Power Station in Witbank, South Africa; one of the largest energy infrastructure projects in the world, the site, which will result in reliable electricity to South Africa, measures approximately 3,350 acres or over 5 square miles (1,355 hectares), and has over 17,000 workers.